We thought about what we want, as riders, when we’re shopping for saddle pads and then we brought it to life: outstanding quality, classic styling, and unbeatable prices. 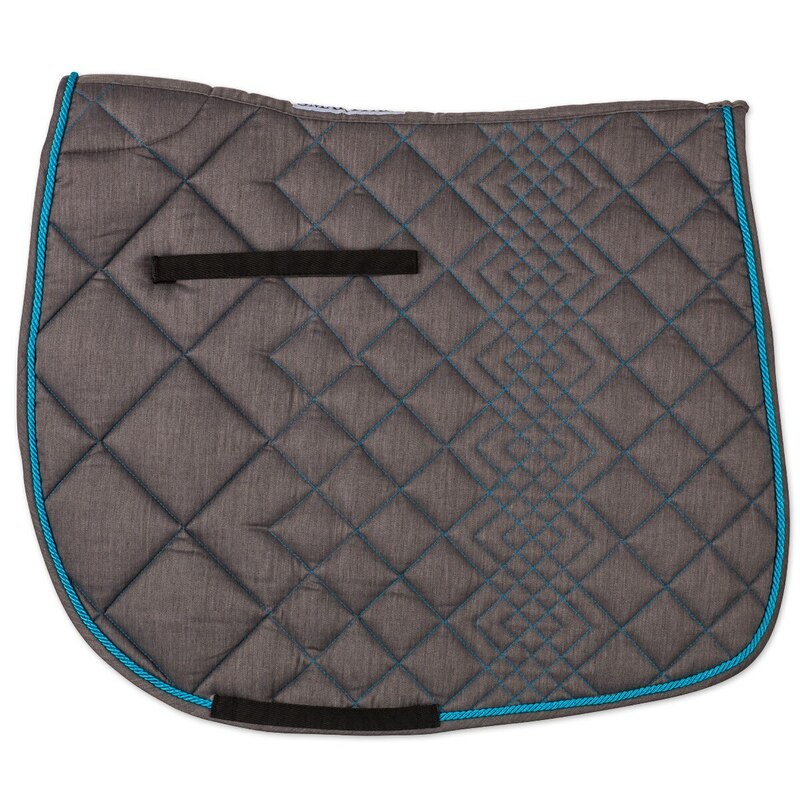 This saddle pad features a fun geometric pattern with contrast stitching and rope trim for a stylish look. Additionally, it boasts a specialized cut that offers wither relief for your horse. It also has soft quilting to keep your horse comfortable as well as being lightweight and breathable to keep your horse cool and dry. Designed to fit most dressage saddles, this pad has sturdy girth and billet straps to help keep your saddle in place while you ride. Plus, it’s available in a variety of traditional and fun colors and easy to customize with a monogram, name, or barn logo to match your style. Finally, modern styling means you and your horse will always look your best. This is the perfect schooling pad! The EcoGold Frictionless™ Dressage saddle pad is an ultra-lightweight saddle pad that prevents rubbing on the horse’s back and quickly evaporates moisture.